As some point my twitter feed went from blah blah blah sxsw blah blah vegan blah….. to …..SXSW sxsw SXSW sxsw SXSW sxsw. It is too much to keep up with! Most exciting for me is my official conversation at the Interactive Festival, Laura Beck from Vegansaurus and I will be talking about Activism on the Internet Monday Monday March 14 at 3:30PM at the Austin Convention Center Room 5ABC. it is going to be a good time I promise. 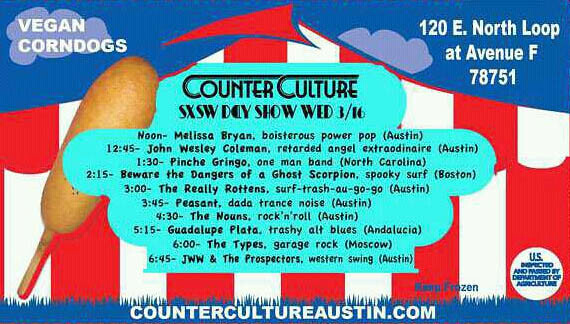 On Wednesday Counter Culture is throwing a huge party on north loop with VEGAN CORN DOGS and tons of bands. It is going on all day and it is free. The best part is that they finally got their music permit so it won’t get shut down. Also Brooklyn Vegan is going to have a series of day parties, I think that there will be a vegan table and maybe a bakesale at these as well, I will let you know if I get any more details. I went to his parties last year and they were really fun! If you are looking for other free parties and what not check out Austin 360, they have a huge database of everything. 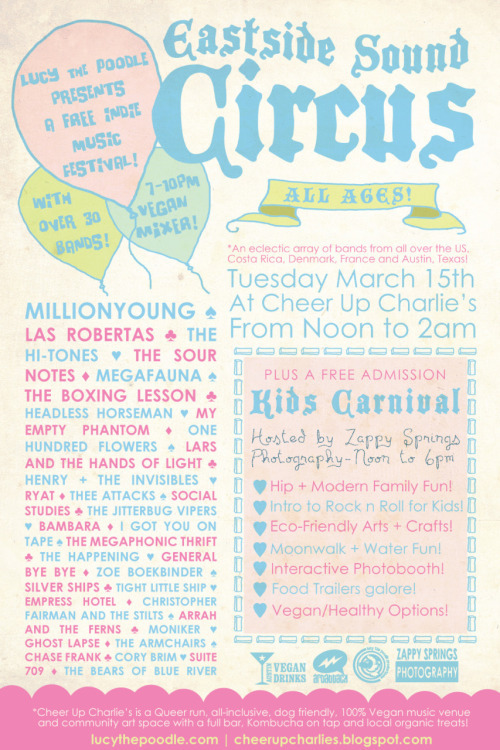 Do512 is another great place to look up free stuff, their sxsw list has really grown that makes it really easy to RSVP. If you are overwhelmed by all of that Austinist, and Republic of Austin have spotlighted different activities. If you are looking for vegan food check out my SXSW list, or my Austin city wide guide, or my favorite spots! And remember to wear sunscreen I got burned to a crisp last year. 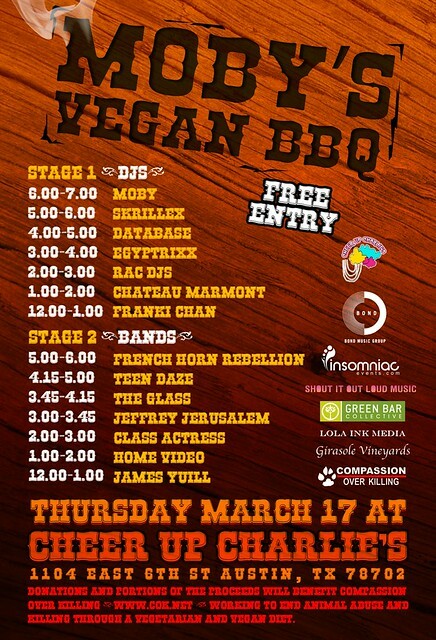 This entry was posted in Austin and tagged vegan sxsw on March 10, 2011 by lazysmurf. Thanks for this. I’m going to try to make it out to some of these events! see you there!